Just last week, Brian from Blu Seafood came rushing over to announce that Halibut was back in season, and that I should head over to his booth to get a good picture. I didn’t realize how large halibut could be, and I certainly wasn’t expecting him to hold up a fish as large as the one this picture – wow! 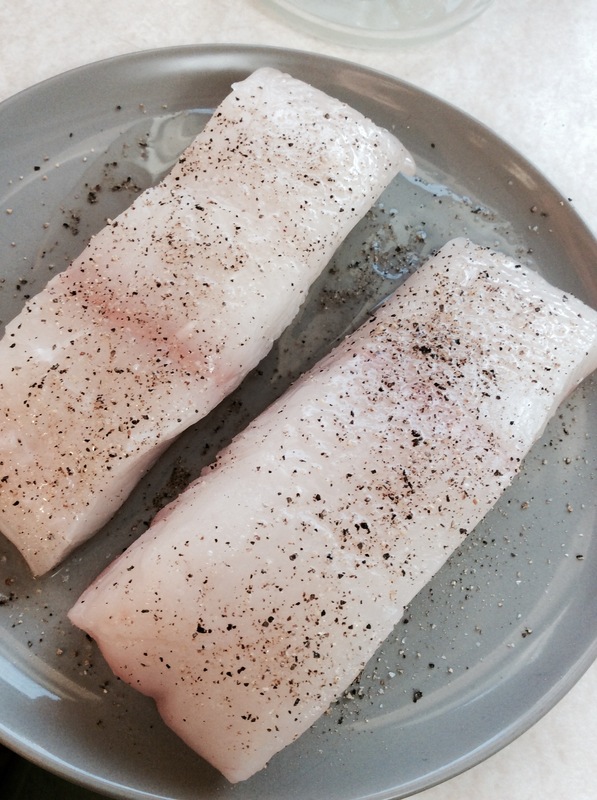 Halibut is in season from late March to September, and comes from the North Pacific. These large flatfish are a highly sought after food fish. It seemed like the perfect opportunity to take some home and cook it up for the market blog. I asked Brian for recipe suggestions, and he directed me to his cookbook, “Keep it Simple Seafood” (which you can pick up at his booth here at the market). The title speaks the truth. 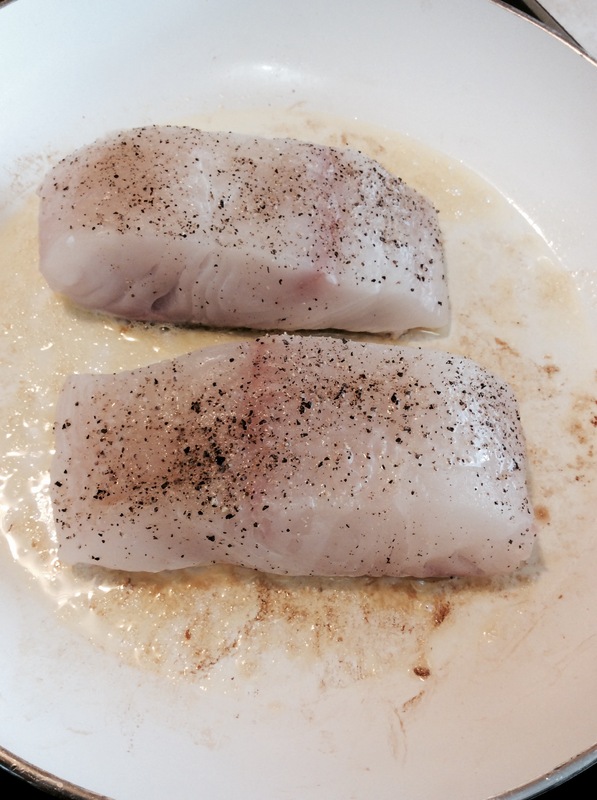 Not having much experience with cooking halibut (or seafood in general), I can confidently say that this is a great fish to cook for any beginners out there. 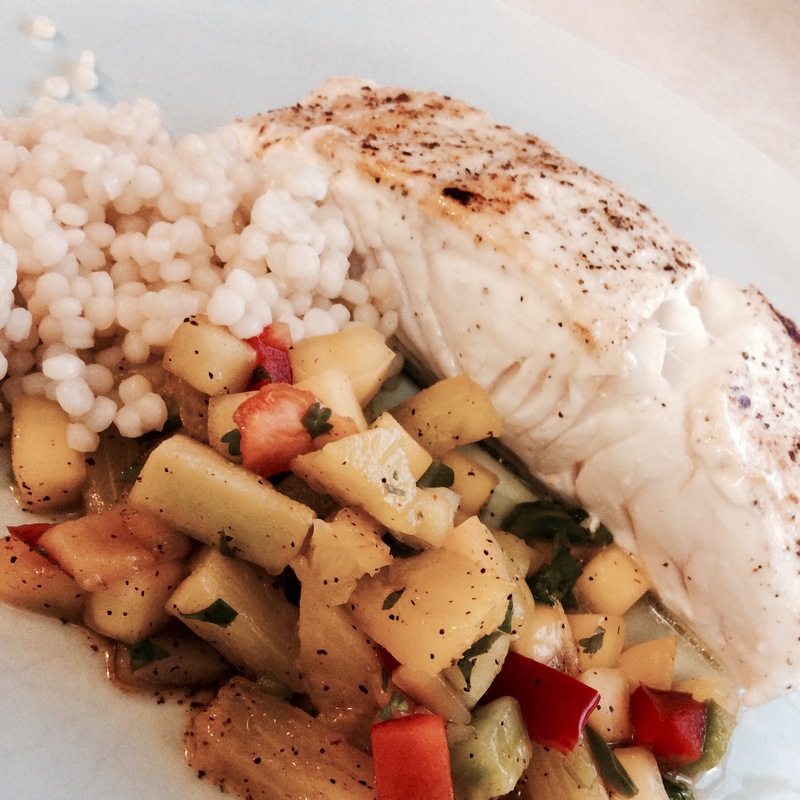 He suggested adapting the Pan Seared Mahi Mahi (p. 82) recipe for halibut which worked out wonderfully. I also cooked up some Israeli couscous (directions on how to cook it can be found here), but you could easily substitute this for whatever grain you prefer or have on hand. The original recipe was drizzled with a balsamic vinegar reduction, but I just substituted the grapefruit white balsamic vinegar from Soffrito straight up, and drizzled it over the whole plate before diving in. The wonderful thing about picking up oil and vinegar from Soffrito is that you can just tell them what you’re cooking, and they will make a variety of suggestions, allow you to sample the pairings, and then you can choose your favourite. 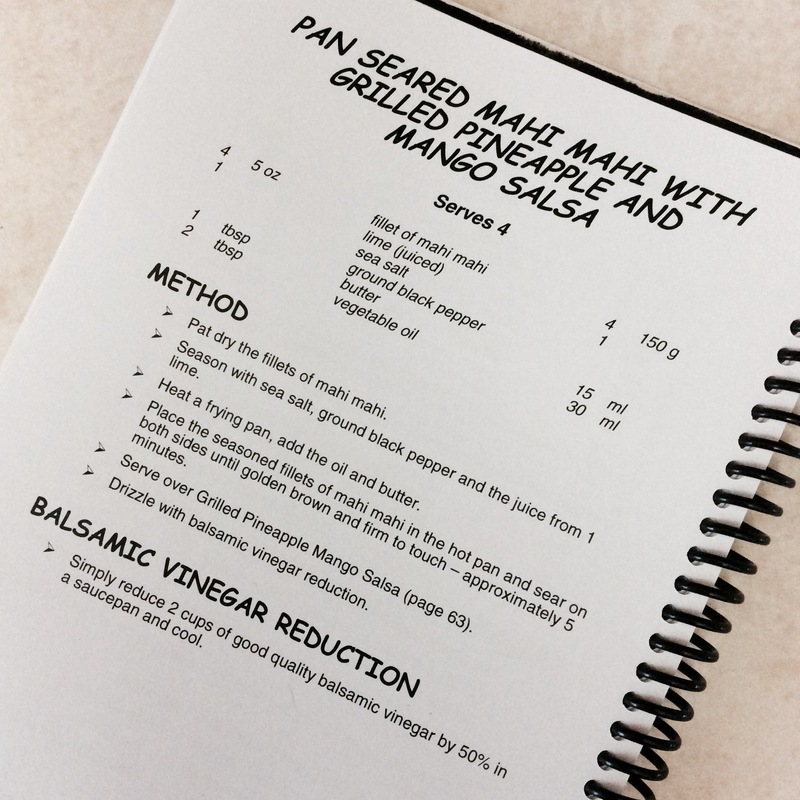 I loved the bright citrus flavour of the Persian lime and grapefruit together and thought it would complement the mango pineapple salsa well. I should also note that while Brian has a great recipe for salsa in his book, I cheated. 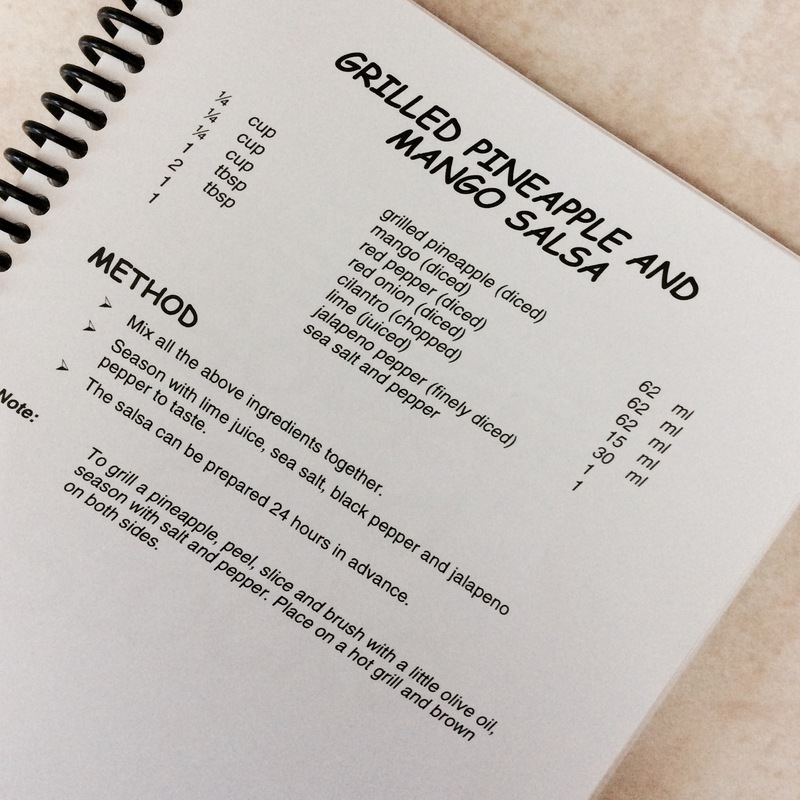 The Cherry Pit makes an amazing mango salsa, but I didn’t want to leave out the pineapple! Fortunately they also have pineapple peeled, sliced and ready to go, so I just diced it up and added it to the salsa. All in all, this meal only took about 15 minutes to prepare, and couldn’t have been any more delicious, fresh or healthy – fast food at its best! So next time you’re craving fish, be sure to head over to Blu Seafood. You can pick up all your ingredients, Thursday – Sunday, 9pm – 5pm at the Calgary Farmers’ Market!